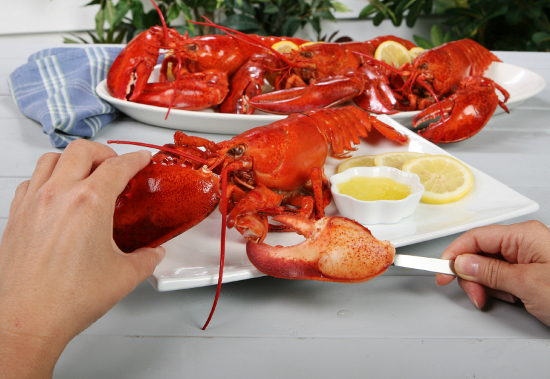 Are you ready to enjoy your Maine Lobster? Here’s a few tips on how to eat a whole Maine Lobster and have you looking like a seafood aficionado in no time. First gather up a nutcracker (or pliers), a small fork and nut pick. After molting, a lobster will have a soft shell and be pliable. If you have a hard shell lobster, a pair of lobster scissors will make short work of cracking the claws and getting the meat out. 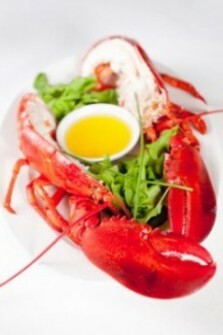 Before serving it is best to let a boiled or steamed lobster drain for a minute. It’s a good idea to pierce the tail at the chest of the body with a chef’s knife to allow water to drain faster. Serve the lobster hot. A bib is recommended when cracking as you can never tell when some water is likely to spray out right onto your shirt. Make sure you have plenty of towels, too. Melt the butter and slice up some lemon. Put the bib on and you are ready. Hold the body of the lobster with one hand and twist the claw off with the other. The claw will break off where it connects to the body. 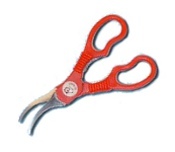 Crack each claw along its length with the nut cracker or cut with the lobster shell open with the lobster scissors. Remove the meat from the claws by pushing the meat out from the end of the claw with the small fork or pick. Grab the lobster body again and twist the tail from the body. Pull the flippers from the tail. Crack the tail along its length and push the meat out from one end with the fork. 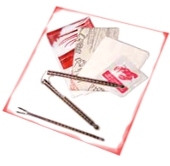 Remove the tail meat in one piece and discard the vein that runs along the length. Next pick the meat from the flippers. Twist the small legs from the body and remove the meat from the legs with the pick. You can also choose to squeeze the meat from the legs with your teeth. Next separate the shell from the body by pulling the shell apart on the underside. The shell will disconnect from the body exposing the tenderest meat of the lobster. Remove and discard the green substance called the tomalley. Remove the meat from the body and leg joints with a pick. The rest of the lobster should be discarded. Note: If found, the roe (red female eggs) are often considered a delicacy and used to make lobster butter or is used in the stuffing for baked stuffed lobster.